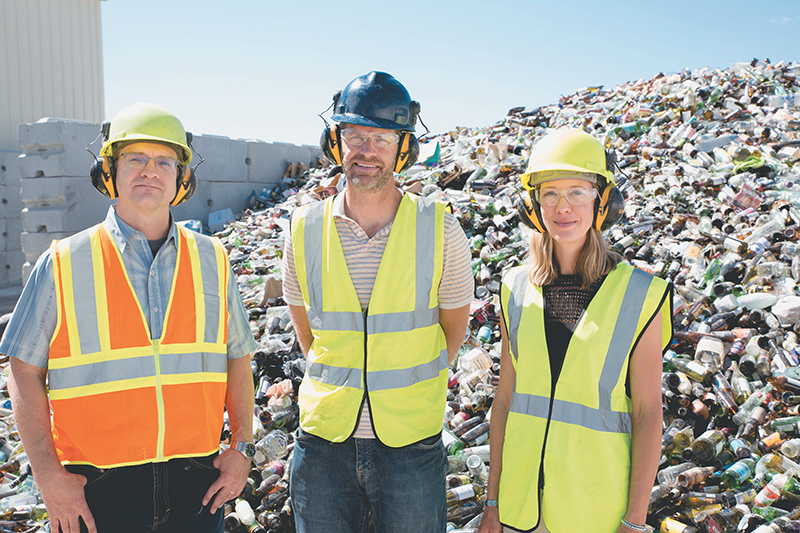 (L–R) John Lair, Jeff Whitbeck and Kate Whitbeck lead Momentum Recycling, Utah’s sole glass processor. In 2012, Momentum underwent a major expansion. They installed a giant, fancy, new processing plant on-site and began providing the residential sector with curbside service for the one thing we can’t put in our big blue bins: glass. 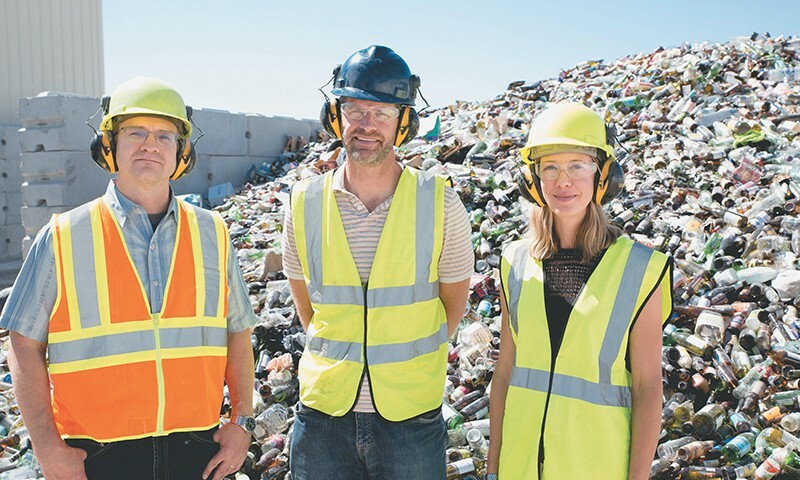 As Lair says, “[Utahns] didn’t even have an option to recycle glass before building this facility.” Locals have responded well to the service, but there‘s still a great deal of work to be done. “Four thousand three hundred households are signed up for the program,” says Jeff, “and the plant is only a third to a half of its full capacity, and it’s not yet profitable, frankly, so we absolutely have to get a lot more glass … so it can pay for itself.” Residents can sign up for this curbside glass pickup through SLC public utilities or at momentumrecycling.com. It’s $7 per month, they send you a bin for the glass, and the charge comes on your utility bill.